In january of 2018, German company RITTER Starkstromtechnik, member of the RITTER group bought an important share in Bausch Datacom Belgium, as expert in the communication and RTU industry, to join their activities in the 'smart grid' market. Bausch Datacom sees a very large emerging market in equipment for the secondary transformer cabins (10-36kV to 230 and 400V) in Europe. All system operators in Europe will be organizing the next 5 to 10 years the modernization of this infrastructure. 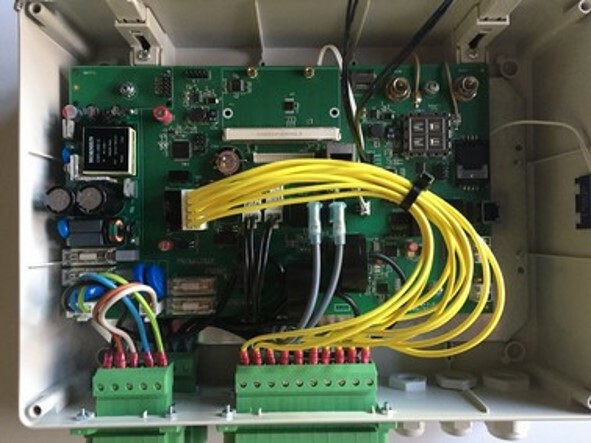 The theme is the following: the following years also meter-and power quality data, alarms and others must be collected on the lower segment of the distribution network, especially in the secondary transformer stations. This meter and status information per station are not as plentiful and exactly as needed in the higher segments, but the measuring points are much more numerous (from several hundred to 40,000-50,000 cabs and more per infrastructure of a network manager). The budgets for this monitoring of such cabines are much more restraint. In order to meet these price requirements Bausch Datacom will launch over the next years all-in solutions, namely the integration of communication, (SCADA) protocols, communication protocols, alarming, controlling and metrology in one device. Bausch Datacom will launch over the next years all-in solutions, namely the integration of communication, (SCADA) protocols, communication protocols, alarming, controlling and metrology in one device.